Right, Football Focus just finished so it's time to starting getting into game mode!!!! 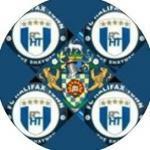 Lets all cut out the usual crap and get down to the Shay and get the boys back into winning ways. I do believe we will win today, I'm certainly confused as to whether Kosy will be playing, hope he is but either way I think with Eastleigh being in a bit of turmoil at present, now is a good time to play them. Plus the confidence of Tuesdays win should help massively. So come on Town lets get at them. Kosylo should be playing today, his suspension is only in the FA Cup. Therefore, he'll be missing the Morecambe game. Here we are one and a half hour to kick off, do we know if Kossy Is playing or suspended. Do we know if Brown is injured or not. Nothing as usual on website. Are our media doing their job and pushing club for information. Who knows. Come on top secret Town. Desperately need a win today. In off someones arse today. Don't care as long it's three points. How many league games without a win now? Just checked, 9 games, 6 draws 3 defeats. Glad he's stuck to that line up i'm confident now. Hopefully Southwell is playing as the out and out striker not Edwards. Brown very much here on his captain's column. Thought he went off injured? That is a good team ... first time in a long time to see this line up! we are going to punish Eastleigh today i feel.... come on boys! King straight into the side. Wooton in Scunthorpe,s squad today. Signing in from Ho Chi Minh City. Dog botherers on TV here; have asked if they can put Town on but nowt doing. C’mon Town. Didn’t think a player could be recalled on a months loan? We aren't losing. That's a good sign. Bored. It says something when the 2 biggest cheers are for Sammy Johnson's saves and not our attacking. Plenty of time yet I suppose though. Seems like we're feeding Stryjek to easy saves.